Call Today for All of Your Auto Detail Supplies Needs in Hamburg, NY! Do you need quality auto parts for your auto repair projects in the Buffalo, NY area? 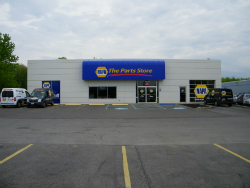 At NAPA The Parts Store in Hamburg, NY, you will find all of the auto accessories you need for every vehicle in your garage, on your driveway, or in your fleet. From cables and hoses to transmissions and paint, NAPA has it all! When you are in need of quality auto parts, count on the knowledgeable staff and extensive inventory at NAPA The Parts Store. From the minute you walk into our store, you’ll be greeted with a friendly face and the quality customer service you deserve. We are always committed to providing our customers with quality auto parts at an affordable price. We’re proud to serve customers from Hamburg, NY; Orchard Park, NY; and the entire Western New York area. Don’t waste time going to stores with a smaller inventory and less knowledgeable inventory. 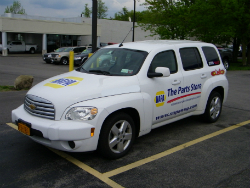 Visit NAPA The Parts Store today! NAPA is known for their effective auto parts distribution system. There are over 6,100 stores throughout the nation, all of which are run by a unique inventory control system that enables you to find the right original equipment manufacturer (OEM) and aftermarket auto parts and accessories. There are over 422,000 parts and accessories at hand for your needs. In order to serve the US efficiently, NAPA has 64 distribution centers that are strategically placed throughout the country. You can rest assured that even if the parts you need aren’t in stock at your local store, they can quickly be shipped to your store, so you can get back to work on your vehicle as soon as possible. We Offer a Variety Of Affordable Auto Detail Supplies! NAPA The Parts Store carries a large selection of vehicle parts such as batteries, alternators, brake pads and rotors, drive train service tools, engine parts, exhaust systems, hardware, fasteners, brass fittings, performance, radiators, relays, transmissions, transfer cases, auto accessories, and much more. We offer an extensive selection of tools and equipment including abrasives, battery chargers, electrical system diagnostic tools, educational products, electrical system hand tools, lifting equipment, lube tools, pliers, power tools, pullers, safety products, storage, vacuum cleaners, welders, and much more. The chemicals and fluids that NAPA The Parts Store carries include adhesives, antifreeze and coolant, brake fluid, lubricants and greases, oil, sealants, preventative maintenance systems and transmission fluid. Our store sells paint supplies including masking tools and film, paint markers, spray guns, strainers and top coats. Specialty products that we carry include exhaust pipes, farm and agriculture, heavy duty, hydraulic hoses, lawn and garden, marine and recreational vehicles, and much more. Which is better for your build – OEM parts or aftermarket auto parts? It all depends on what you’re trying to do. If you are trying to make a quick repair on your vehicle and you want to get similar or identical performance that the original part would have given, you’ll want to choose an OEM part. If you want to enhance performance, save money, or otherwise change how your vehicle works or operates, you’ll want to look into aftermarket auto parts. 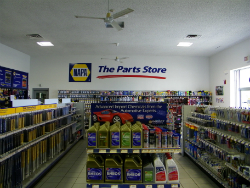 Rest assured that no matter what your goal is, you can find the right auto parts for your project at NAPA The Parts Store. Our shelves are stocked with a huge selection of both OEM and aftermarket auto parts and accessories. We have parts for every modern make and model, so don’t hesitate to come and see us. Not sure whether OEM or aftermarket would be best for your project? Ask one of our friendly staff members. With our “NAPA Know How,” we can help you make the right decision for your vehicle and goals. Ask About Our Auto Accessories! If your vehicle is your pride and joy, you definitely want to do more than simply squirt it with a hose every week or so. You don’t just want to wash it; you want to detail it. Luckily, the team at NAPA The Parts Store makes it easy to do just that. We have a huge selection of auto detail supplies on our shelves. Visit us today to find cleaning chemicals for your paint, tires, trim, windows, interiors, and more. You can also find lots of cloths, chamois cloths, and other supplies. If you’re not sure what you should be looking for, just ask one of our friendly team members. They can help you find the right chemicals and materials for virtually any cleaning needs, from removing dirt and grime from the exterior to making the interior pristine. Visit NAPA The Parts Store or call us today to get started. We provide vehicle parts and auto accessories to drivers from Hamburg, NY; Orchard Park, NY; West Seneca, NY; and Buffalo, NY. We’ll make sure you have everything you need. Our experienced professionals are committed to providing high quality service. You’ll leave satisfied, with all your questions answered and all your needed auto parts purchased. We guarantee that we offer the most extensive inventory of auto parts at an affordable price so that our customers always leave happy. What are you waiting for? Your vehicle isn’t going to fix itself. Come to NAPA The Parts Store for all of your auto parts, auto accessories, and auto detail supplies today!